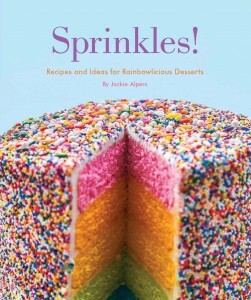 An unpublished photo from my book, Sprinkles! : Recipes and Ideas for Rainbowlicious Desserts was nominated for the 2014 Photography Master’s Cup in the Food Photography category. Visually stunning sugared cranberries are a study in contrast. The tart, dark berries which appear to have been encrusted in tiny jewels, add a magical quality to whatever they adorn as they catch the light. The berries are tamed by an overnight soak in simple syrup, followed by a roll in a batch of sparkling sugar. Sugared cranberries go especially well with savory, soft cheeses. Press a few berries into slices of toasted baguette topped with softened brie for crostini. *Note: If you can't find superfine sugar in the market, pulse granulated sugar in the blender or food processor for a minute. 1 demi-baguette cut into diagonally into 1/2 inch slices, then grilled or toasted. Stir the granulated sugar into the water and simmer over medium-low heat until the sugar is thoroughly dissolved and the liquid has slightly thickened, about 5 minutes. Rinse the cranberries and place them in a shallow bowl. Pour the simple syrup over the cranberries, cover and refrigerate overnight. The next day, drain the berries. Put the sprinkles and superfine sugar into a bowl deep enough to cover the berries. Gently roll the berries in the sugar/sprinkles mixture in small batches, remove with a fork and let dry on a baking sheet. 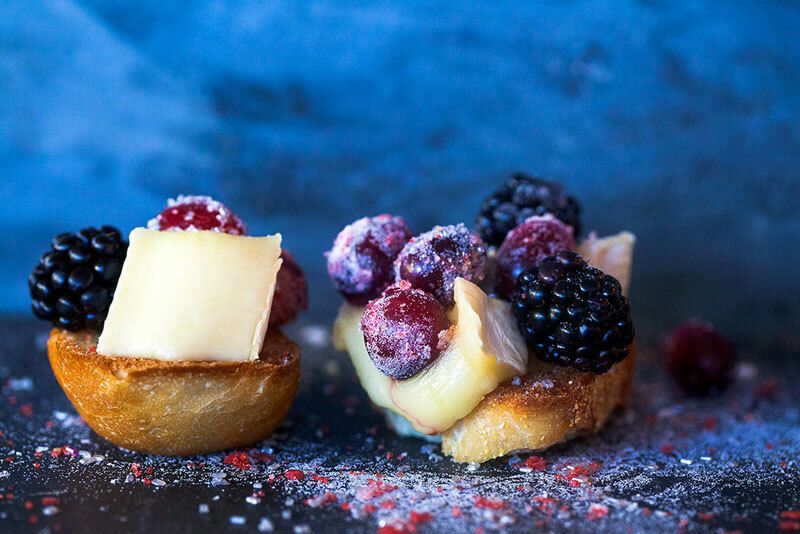 Pile the berries and brie on top of baguette slices and garnish with additional sprinkles. Previous post: How to Cover Easter Eggs in Sprinkles!